Forage such as silage, pasture, and hay are the feed most natural to all beef and dairy cattle. Dairy cows, beef cattle, and sheep, do very well on forage and grow naturally, although feeding them corn or grains will make them grow faster, and get fatter. Feedlots will often feed beef cattle corn. Corn has an inflammatory ingredient that make the beef cattle grow fatter, so that they may save on total feed, reducing the need to feed them hay during winter. 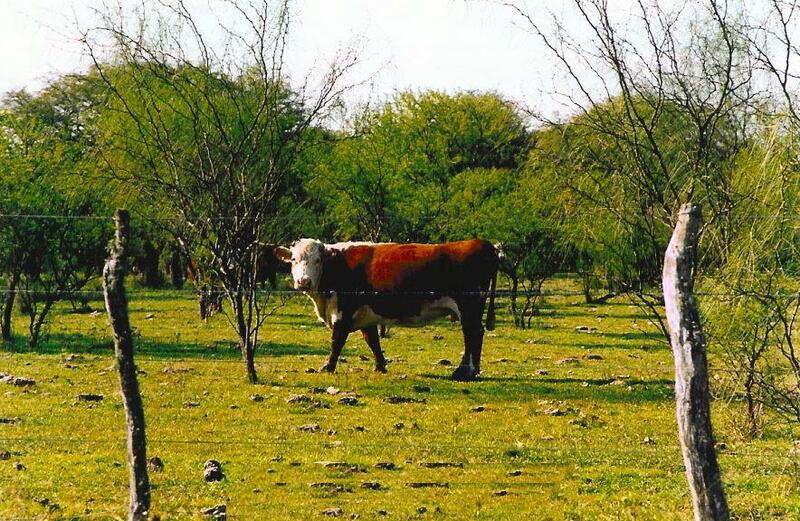 However, pasture is the most natural and cheapest feed for cattle. Grass pastures have all the necessary ingredients needed for cattle to grow naturally, supplying them all the necessary nutrients. During the summer, the lush grasses provide all the necessary vitamin, protein and energy the herd needs for natural growth. During the summer, if you don’t get enough rain in your area, make sure to install sprinklers in your pasture and fields. It is important to keep the temperature down to a bearable level for the dairy cattle, or they may reduce food intake. 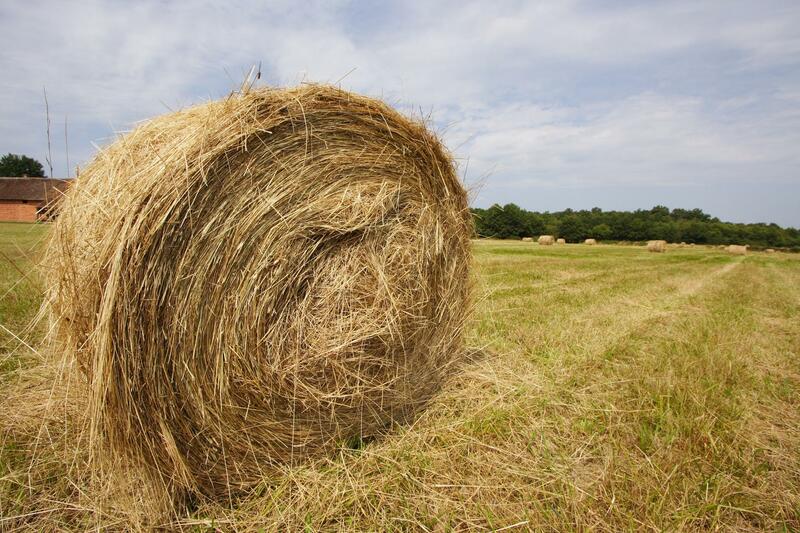 Hay can be a good source of nutrition during the winter and fall seasons, if hay is properly grown and cut the right time. Hay needs to be cut when the grasses are still moist and green, before they are mature and dry. They should be cured and carefully stored to prevent weather damage. Silage consists of green succulent forage that is harvested while retaining high moisture content, and stored under anaerobic conditions in a silo or ‘clamp’, excluding air. 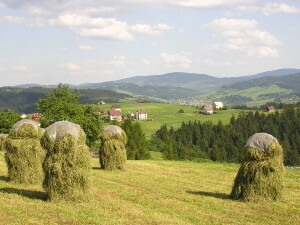 Modern methods produce bails of silage, with plastic wrapping, which also excludes air; bales of hay prepared in this process are much easier to handle and store. The fodder then undergoes a fermentation process, lowering the pH value to around 4.5 -5. In the silage there is a production of lactic acid, which basically turns it into ‘pickle’. Typically, silage from grass is cut three times a year, with the first harvest in May being the most nutritious, before the plant goes into seed production. By this method a farmer can preserve excess forage from the growing season. This is important because it makes up the bulk of feed for ruminants such as sheep and cattle during the winter months, when grass growth is minimal. Some crops such as maize and barley are grown exclusively for producing silage. 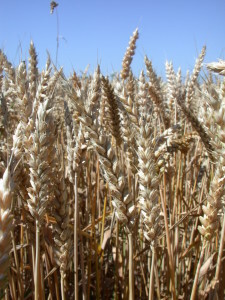 Mature grasses, legumes,and other dry forages can be high in fiber and low in digestible nutrients that increases the heat stress in animals. When animals need more protein and nutrients from grasses, farmers may need to supplement them with young moist grasses, grown from grains. Concentrated feed contains high levels of nutrients and low levels of fiber, which are necessary for rapid growth of young cattle, and also for lactating in dairy cattle. Milling or processing grains such as cottonseed, soybean, barley, maze, and other malt producing feeds are more efficient sources of energy for the stomach in cattle, providing more energy for reproduction, or weight gain. One option, instead of feeding your animals dried feed all winter long, is to grow your own grasses in trays. It takes only 8 days to grow suitable grasses from seed. 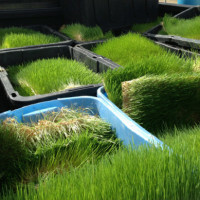 You can grow fodder using the micro-green fodder system, in fodder mats, which need only a small amount of water in order for the seeds to sprout and grow into succulent, nutritious young grasses. You are able to grow a wide variety of grasses, including barley, alfalfa, and wheat. If you do not have time for DIY systems or need small amount of forage every week, you can choose to buy feed in a box, which will supply enough grasses for your daily or weekly feed needs, depending on your requirements. Genetically modified organisms (GMO’s) have been shown in studies to cause cancer and other diseases in animals. When animals eat naturally grown organic farm food that is free of GMOs, healthier, animals can be raised. When we eat food produced in those farms, it can benefit our health and wellbeing as well. P.S. – Have you tried our micro-green fodder DIY system? Please put down a few words in the comment box below and let us know how well this system is working for you.